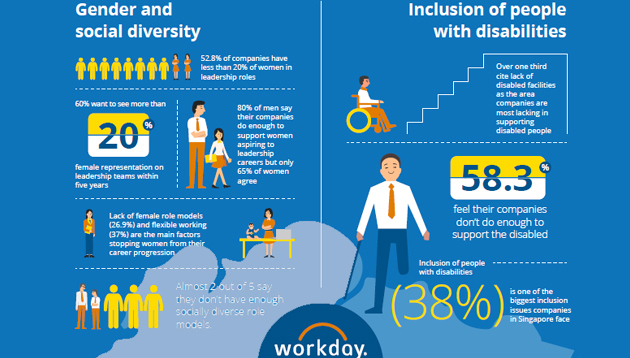 The recently released Workday Diversity & Inclusion Survey 2018 Singapore by Workday yesterday revealed that more than half (52.8%) of Singapore firms have less than 20% of women in leadership roles. According to the release, it states that there is still much work to be done when it comes to Singapore businesses embracing inclusion and diversity in the workplace. Surveying more than 100 HR leaders in Singapore, the survey covers gender and social diversity, inclusion of people with disabilities, ageism, and companies’ general approach to diversity and inclusion. Following are some of the key findings from each topic. 60% want to see more than 20% female representation on leadership teams within the next five years. The majority of the respondents felt that the lack of female role models (26.9 %) and flexible working (37%) in their organisations were two of the main factors stopping women from their career progression. While 80% of men said that their companies do enough to support women aspiring to leadership careers, only 65% of women agreed. 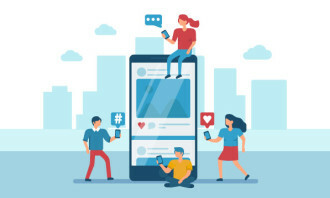 Almost two out of five (38.8%) of the HR leaders in the study said they didn’t have enough socially diverse role models. Almost 60% feel their companies aren’t doing enough to support the disabled. 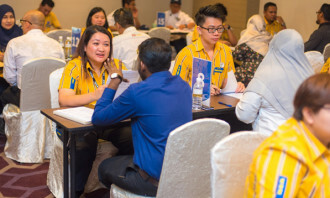 Respondents believe that the two top areas where Singapore companies can do better to support people with disabilities are the facilities they provide (36.1%) and their inclusive hiring processes (26.9%). Large companies (32%) said age discrimination was more of an issue in their workplace than in SMEs (20%). One in four felt older workers faced discrimination in their workplace. Inclusion of people with disabilities (38%) and ageism (28%) are the biggest issues companies in Singapore face. Two of the most pressing issues with hiring and promoting older workers is outdated skill-sets and lack of aptitude for new technology. 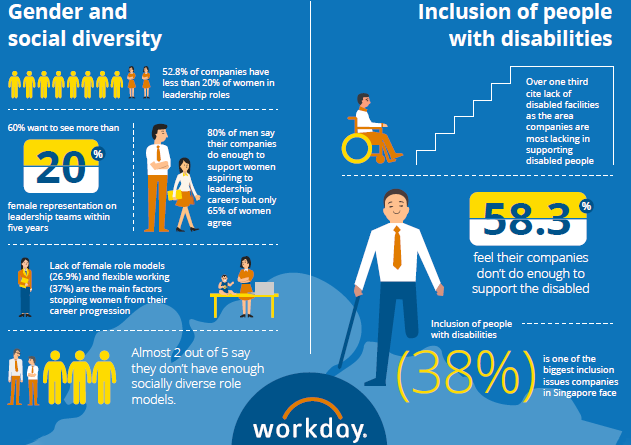 Only 16% of companies had diversity and inclusion policies that covered people with disabilities and only a third (35%) had policies that cover age discrimination. Company culture (57%) and flexible working conditions (53%) are the biggest barriers to increasing diversity and inclusion. More than half of respondents said increased diversity and inclusion enhanced employee morale (58%), and innovation and creativity (52%). Half of companies (50%) rated government and regulatory advisory as one of their top two motivators for improving diversity & inclusion, followed by 45% for performance benefits. “For professional services firms like KPMG, we really need to challenge past assumptions about ‘what top talent looks like’ and think outside the box when it comes to hiring diverse candidates that better represent our changing client and business portfolio,” she added. “Our people come first. A supportive and inclusive culture that encourages sharing of unique viewpoints and perspectives, energises P.A.S.S.I.O.N (our values) and empowers our team of diverse individuals towards achieving their full potential,” she concluded.